Presently, each of us graced with life will experience some level of adversity. Whether you are privileged to live in an exclusive gated community where you are greeted by paparazzi or if you live in the shadows of the streets as a homeless person, you are promised pain according to God’s word. Therefore, this book will prove to be a guiding light to navigate some of life’s most challenging realities, like dealing with failure or trying to handle the inherent pressures of success. Children spend a large amount of their young lives in the classroom learning various lessons, from obedience to social interaction. However, learning is not merely for the younger generation. We all should continue to have a yearning to gain knowledge throughout our entire lives. As you journey throughout life, you must be equipped with necessary tools to help you contend with its inherent joy and pain. 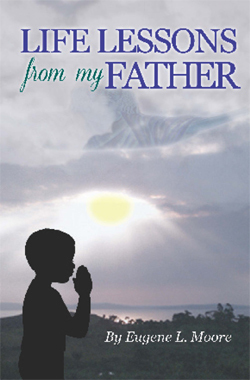 Therefore, Life Lessons from My Father is a book that will provide you with practical solutions to rewrite your truths and claim your destiny.